Most blogs fail in the first 100 days, and one of the main reasons is disorganization. Successful blogs post new content frequently and consistently. But if you aren’t organized, you won’t be able to do either. How do I keep my blog organized? CoSchedule. It’s an excellent tool which allows you to plan, assign, write and share content on social media–all in one place. CoSchedule is a web application designed to make blogging easier and more efficient. CoSchedule provides you with a calendar to plan your content and syncs with your WordPress and social media accounts, so you have all your blogging tools at your disposal in a single window. CoSchedule also allows you to communicate with everyone on your blogging team, send them assignments, and set deadlines for them. An editorial calendar helps you set deadlines for yourself and for your team, and ensures you are putting out content consistently. An editorial calendar is also a great tool for planning your topics in advance, so you never find yourself in a situation where you run out of ideas. The first step in using the CoSchedule calendar is brainstorming topics. A good keyword tool is useful in this process. Once you think of an idea for a blog post, create it as either “content” or a WordPress post. Creating the WordPress post right in CoSchedule will save you an extra step later. Place that content on the day you want to publish it. Repeat that process until you have a full calendar. When you are ready to actually write the blog post, simply click on the calendar entry, and you will find a link to edit your blog post in WordPress. Try to plan your content as far in advance as possible. You always want to give yourself enough time to research, write, and create visuals for the post. You can set deadlines for these parts of the blogging process using the “tasks” feature in the calendar. If you have a team of bloggers, you can use the tasks feature in CoSchedule to send assignments to them. Simply click on a calendar entry, create a “write draft” task on it, and assign it to the writer. The writer will then get an email that they have been assigned a task. You can also do this for photo sourcing, and any other part of the blogging process. CoSchedule also has a “comments” feature, which you can use to write a more detailed description of the assignment. The writer can also ask questions in the comments. If your writer has access to WordPress, he or she can go straight to WordPress from CoSchedule to write the post. If your writer does not have WordPress access, he or she can easily attach a word document to a comment in CoSchedule. 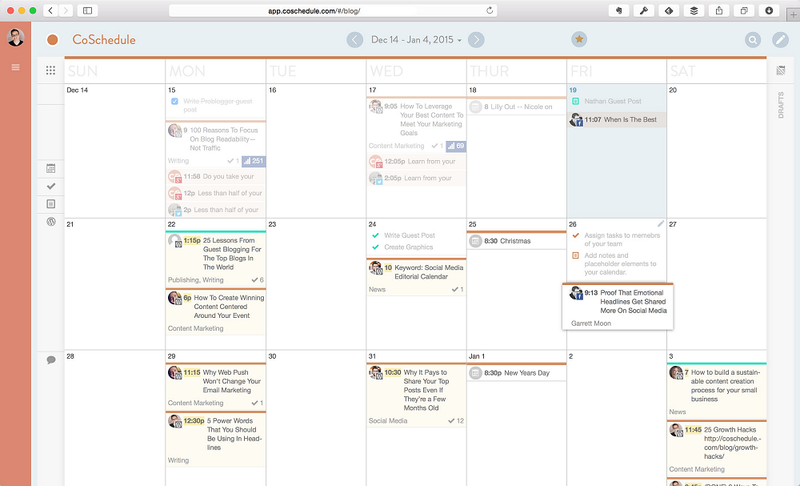 Many blogs use Hootsuite to manage their social media accounts, but Scribblrs now uses CoSchedule. 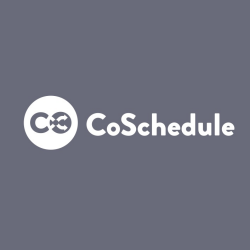 CoSchedule allows you to access your social media accounts from your Coschedule calendar, or from the WordPress “Edit Post” page. When you schedule social media posts, CoSchedule will show you a dropdown menu with all your social media accounts. 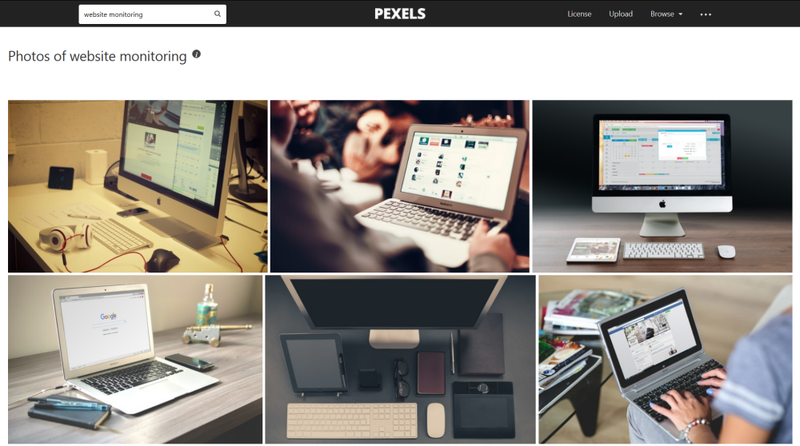 Select which accounts you want to share your content to (you can easily do them all at once). CoSchedule will then automatically pull photos from the article, and fill in the text of the social media post and meta description. All the hard work is done for you, but you can also easily customize the fields. 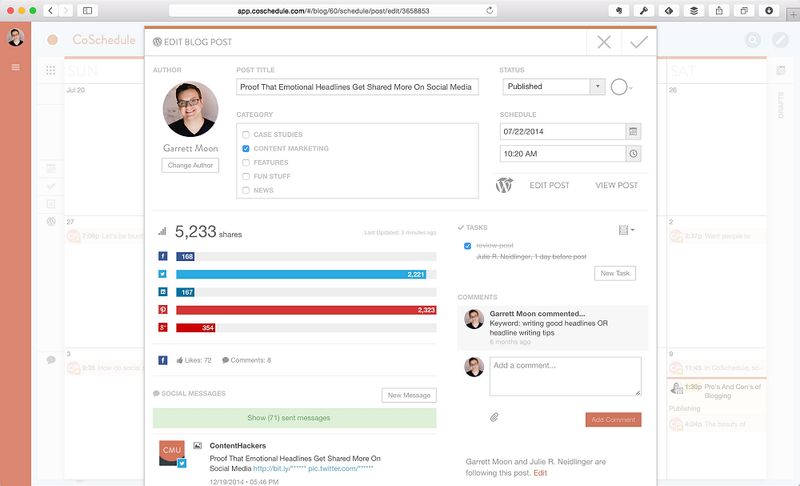 CoSchedule gives recommendations for how often you should share your posts on social media. With CoSchedule, you can easily create social media posts for one day from now, and one month from now. If your content will stay relevant for a long time, you can schedule more social media posts for even further in the future. No matter what your goals are, good planning will set you up for success, and poor planning will set you up for failure. CoSchedule provides you with the organizational tools you need to build and maintain a successful blog. It’s definitely a worthy investment. Eric Brantner is co-founder of CutCableToday.com, a blog that sees hundreds of thousands of hits each month. He now seeks to help others start their own blogs on his newest site, Scribblrs.com. Posted September 5th, 2016 in Content. 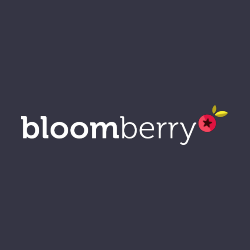 Tagged: blogs, editorial calendar, organization, planning, tool. How often have you heard the remark, “I’ve always struggled with my grammar”? Mastering the proper use of written English language is tricky even for native speakers of the language, let alone, people foreign to it. The punctuations, articles, phrases, similes, etc. that make up the language are sometimes too much to handle. And if the use of English is not directly linked to your livelihood, you can still manage. But if you’re a writer, a teacher, or a professor, the wrong choice of words could mean make or break for your career. At this point if you’re thinking, ‘that’s why Microsoft built Word with spell and grammar check’, well, it’s time to expand your area of thought. ‘Coz we’re going to introduce you to a free online tool that will let you master written English language like never before. Presenting – Grammarly. Literally! If you’re among those who like to run a quick spell and grammar check on your documents before you submit them, you will fall in love with this tool instantly. It is slick, it’s simple, and it’s free! Grammarly not only points out errors in your documents, but also gives you suggestions to fix them. And we agree, MS Word does that too. 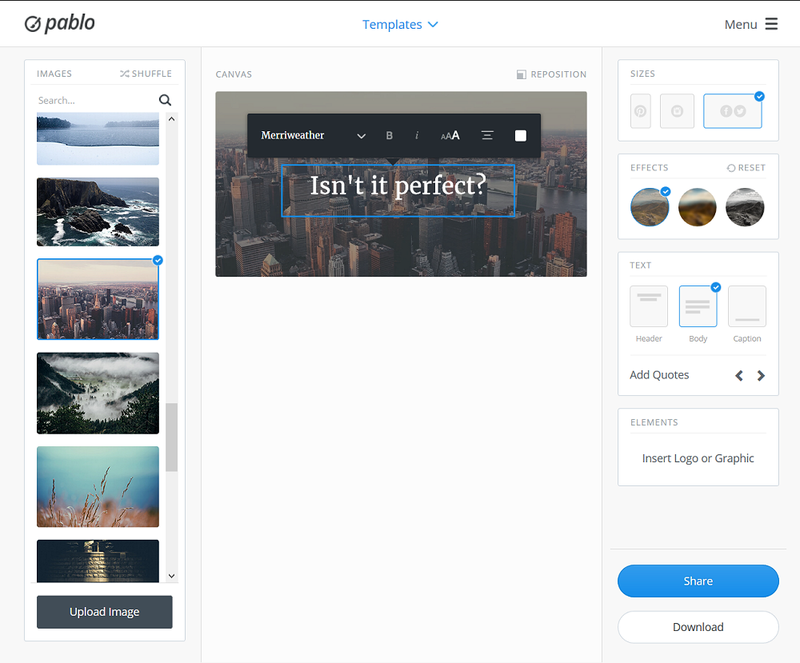 But here’s what really sets the online tool apart from the document editor. 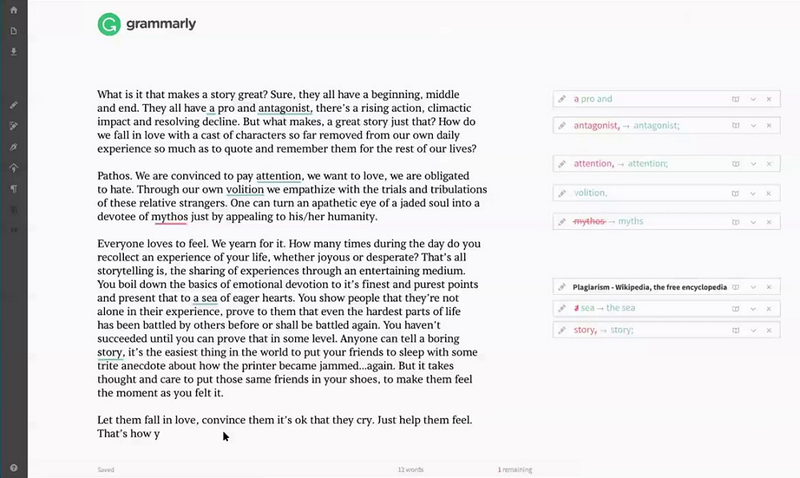 Grammarly lets you fix highlighted errors with just one click. You read it right – one click only! Click on a suggested fix for an error, and it will be done. The intuitive tool monitors your documents to make sure everything you write is mistake-free, easy to read and effective. And that applies not just to spelling errors, but also to misplaced words / phrases, incorrect grammar, wrong punctuation, verb mistakes and anything “grammar-y” you can think of. It lets you correct your grammar on any platform including emailing, social media, document editors and more through specialized add-ins. With algorithms developed by the world’s leading authorities on linguistic technology, Grammarly goes beyond basic grammar and spell check and helps you become a better writer. 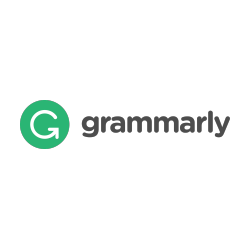 To start using the tool, you’ll need to create a free account with Grammarly. A simple signup later, you’ll be assigned your dashboard. In the dashboard you’ll be able to find various options in the left-hand panel that will help you perform different operations with the tool. My Grammarly – your work page containing all the documents you upload to the tool for correction. Profile – here you can view your account settings (name, email, password, etc), add words to your personal dictionary (so that words particular to your work are no longer flagged as misspellings), and / or select if you want to work with American English or British English. 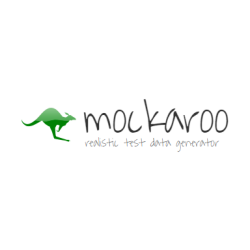 Apps – lists all apps suited to your account type. A free account is entitled to a browser extension, an MS Word add-in, and a native app for your desktop. Premium – page that shows what’s available with the premium edition (paid edition) of Grammarly and how much it will cost you (you can of course stick to the free account and still use the tool for as long as you want). Support – your help guide to the tool. Additionally, you can paste content directly into the editor or create a new document directly in the editor (so the tool becomes your online writing pad). Just for fun and for really testing Grammarly’s capabilities, download the Demo document to your computer (there’s an option to do that). Once you have the document, run MS Word’s spell and grammar check on it and then compare the experience with the Grammarly experience. We bet you’ll choose the latter instantly! There’s no doubt about the pros. It’s way better than the simple grammar and spell check of Word. It includes features like vocabulary enhancement, plagiarism check, professional proofreading. 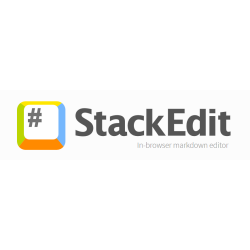 It allows you to create new documents and check them right inside the editor. You may upload and download documents to / from the tool. There is literally no con to this awesome tool. There is a free basic account that you can use for as many documents and for as long as you want. But, in order to access really helpful features like plagiarism checker, vocabulary enhancer or proofreading, you’ll need to fish out some money (the prices are quite affordable actually). A must try tool for writers and bloggers. Give it a try for its sheer usefulness; but it you truly want to realize its potential, sign up for the premium account. You won’t regret it! Posted August 9th, 2016 in Content. Tagged: correction, errors, grammar, language, mistakes, spell check, synonyms, typos. Got a blog or website but often struggle to create the perfect content that achieves its intended purpose? Tried without success to grasp the basics of SEO and other techniques needed to make your online content stand among if not apart from the top contenders of the trade? Well, you’ve managed to reach the correct article. In here we’re solving one of the biggest mysteries of online content writing – creating SEO friendly, key content that performs best for any topic and if you’re lucky, to know what content performs best for your competitors. Let’s start with the first step – knowing the tool that can actually help; introducing Buzzsumo! Content is what first attracts a customer to an organization. Today, most people rely on feedback and reviews for products and services on online forums before finalizing their transactions. After studying that aspect they move on to an organization’s webpage to dive deeper. While getting good testimonials and reviews is not that tough a task, especially for those who don’t mind getting a little unethical, building an impressive, hard-hitting website is not a piece of cake. More than the layout, color schemes and graphics, website content is what decides whether a casual visitor will turn into a prospective customer or not. When the content is so important, do you make sure you spend the amount of time and resources you should on it? If you have doubts or would like to improve, trust Buzzsumo to help you out. 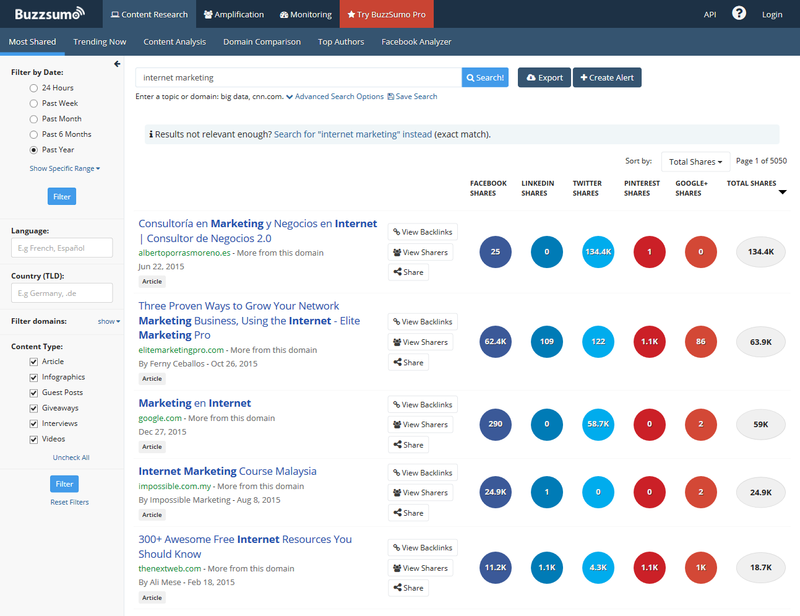 Buzzsumo.com is an online analyzer that lets you know what content works best for an industry and who the major influencers are. It assists you in identifying the topics related to your business that get the most attention. 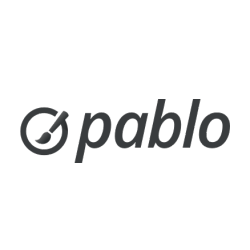 The tool is easy to use and most users claim it gives them immediate value by enabling search for terms/phrases that quickly identify content that’s performing well in a niche or with an audience. 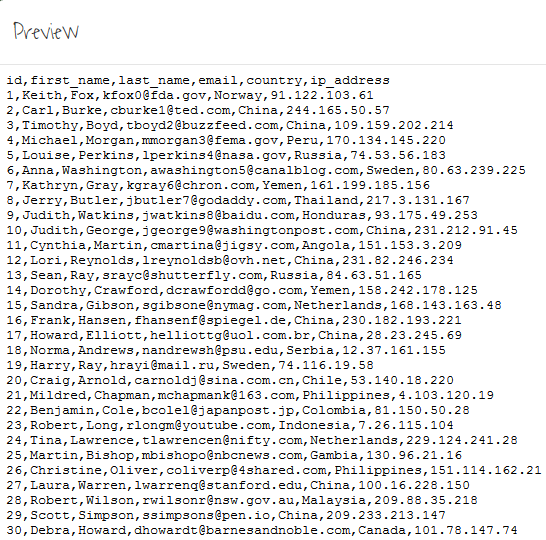 In a nutshell, Buzzsumo makes sure you publish exactly what your intended audience wants to see on your website. End result – more business! Buzzsumo filters out the content most-accessed by people (trending) and the one that’s about to trend across all major social networks like Facebook, Twitter, Linkedin, Pinterest, Google+ etc. Moreover, it lets you customize the filtering based on criteria such as Time Period, Social Network, Content Type, Author, Domain and more. 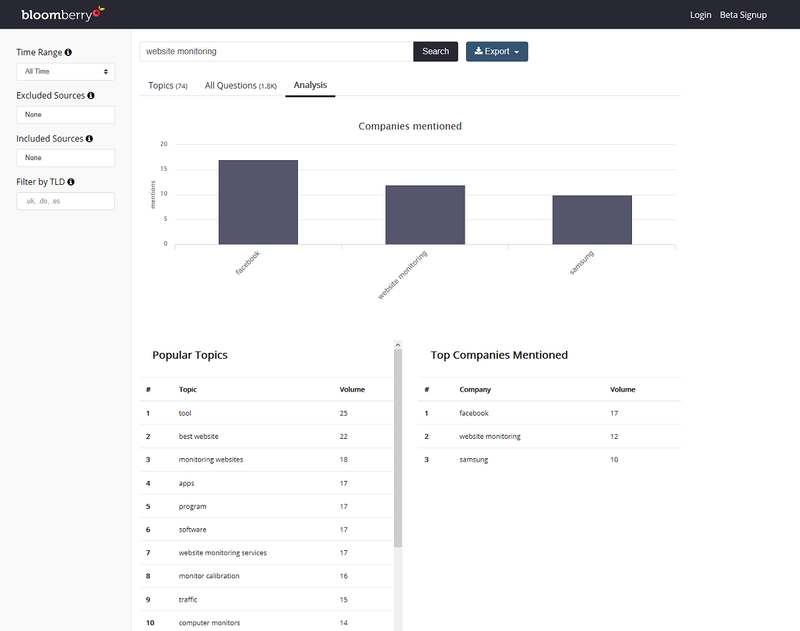 The tools enables you to set alerts for trending content, keywords, authors, domains and competitor sites. You can even create a personalized dashboard to monitor all alerts you’ve set. Plus, you can choose to have alerts delivered to your mailbox or setup an RSS feed. Influencers are people who already have an audience that follows them. Discovering and understanding their methodology can give crucial insights as to how to capture people’s interest and also drive some of their traffic to your website. 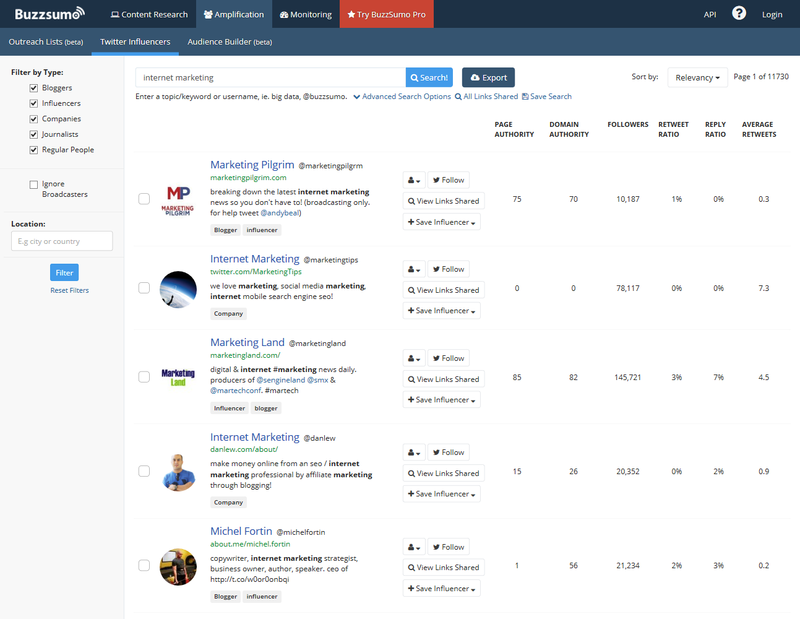 Buzzsumo lets you find, analyze and follow influencers, see what content they share, export all findings to a trackable format (like CSV/Excel) and maintain outreach lists. For promoting yourself better, you need to know your competitors well. 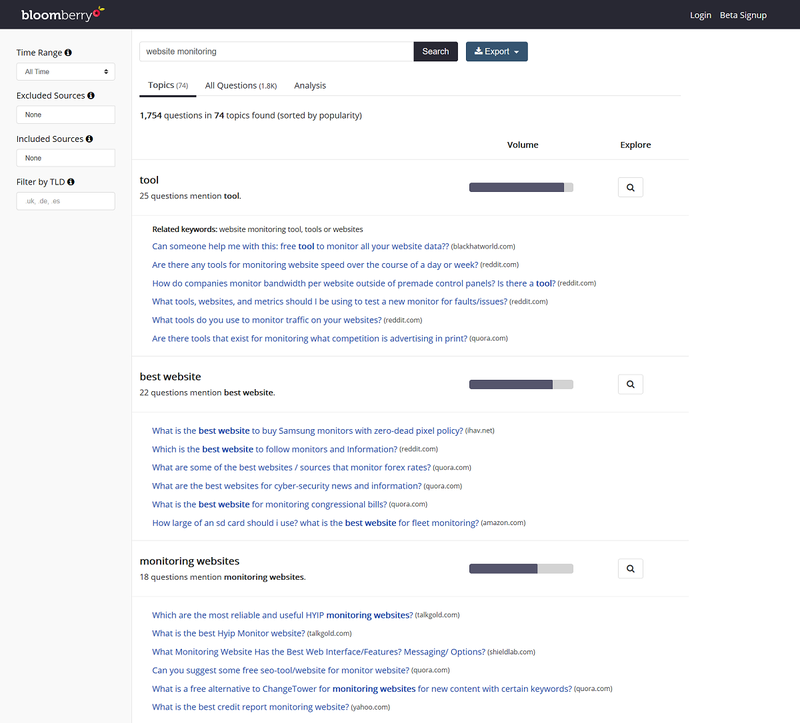 Buzzsumo enables you to find out your competitors’ most shared content, amplifiers who share your competitors’ content, set alerts every time your competitor publishes content, create competitor content performance reports and more. Diving straight in is really simple. Just click on the “Try Buzzsumo for Free Now” button on the main page to be redirected to the search screen. In the search box, type a topic, keyword or domain to search and hit Enter. You can start looking at results immediately – what all related to the keyword you typed has been published, where and how much buzz has it created on social networks. You can play around for 5 keywords after which you’ll be asked to sign-up for free for a 14-day trial on the Pro plan. Alter what you want and start exploring. Every result that turns up can be analyzed to find out what kind of stuff readers want and how enthusiastically they share or link to it. If the numbers don’t match up to your expectations, you’ll know where to improve instantly. 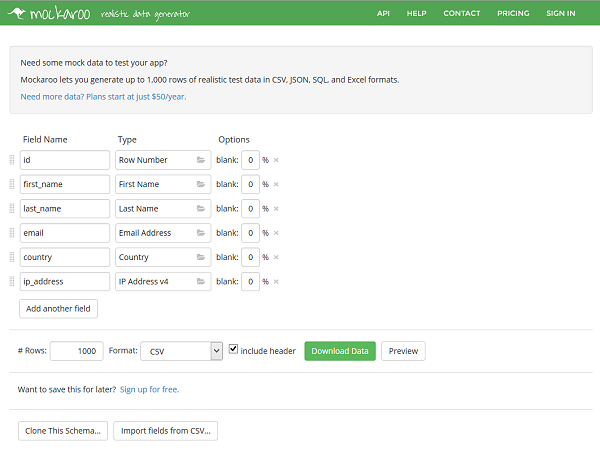 You can choose to view your content sharers, export result data to CSV/Excel, set alerts and lots more. As far as cons are concerned, they’re truly aren’t many except where the tool forgets to mention that you won’t find the results much helpful if you’re a newbie at publishing and have only a few social network followers. You need to have at least 20 followers on Twitter to be able to view who is sharing your content too. So don’t bother if you’re yet to get there. For large players though, the tool is a win-win. 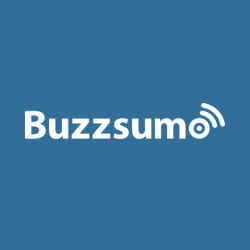 Great tool with an awesome purpose; every organization looking to expand its online reach should try Buzzsumo out! Posted February 18th, 2016 in Content. Tagged: buzz, content, content marketing, influencers, social media, trending. Flowcharts are one of the basic building blocks of system design. They depict complex details of a proposed system through simple rectangular, diamond-like and circular shapes. They’re a picture that can explain a layman what a technically advanced, IC powered system would behave like when fully functional. So it is extremely important that designers who make flowcharts make them right. And that’s because when a business approver views a flowchart, that image is how he perceives the system to be. Thus, to avoid later confusions a flowchart needs to be bang-on. If you’re sure your flowcharts are absolutely correct, good for you. If you think otherwise or would like some reassurance, trust Lucidchart to help you out. This online flowchart maker will make sure you don’t mess up the very first step of system development. 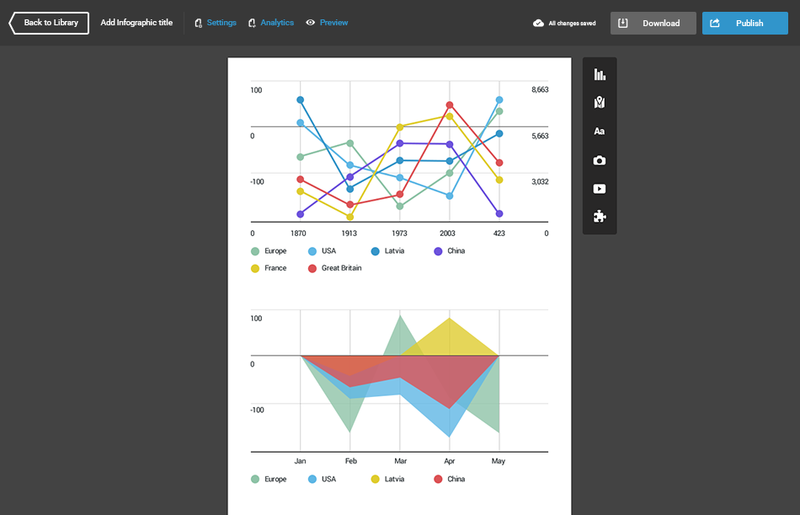 Lucidchart – draw better, depict more! The online diagram application from Lucidchart makes it extremely easy to sketch as well as share professional flowcharts. 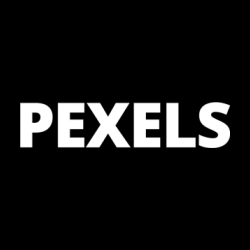 It is compatible with a host of other programs including Google Apps and Microsoft Visio and allows users to export their diagrams to standard file formats or publish them through a convenient online viewer. The best part about Lucidchart is its ease-of-use; from a beginner to a pro, anyone can create great flowcharts through it. The tool is very intuitive; the shapes just snap together and glue a designer through the process of setting up a diagram. For engineering or IT systems, Lucidchart offers competent Network Diagram designing tools. The ERD (Entity-Relationship Diagram) tool of the platform helps you instantly generate database tables and schemas with GraphViz import, smart shape prompts and a multi-featured API. Lucidchart is tailor-made for technical diagrams and this focus is evident from their feature set. 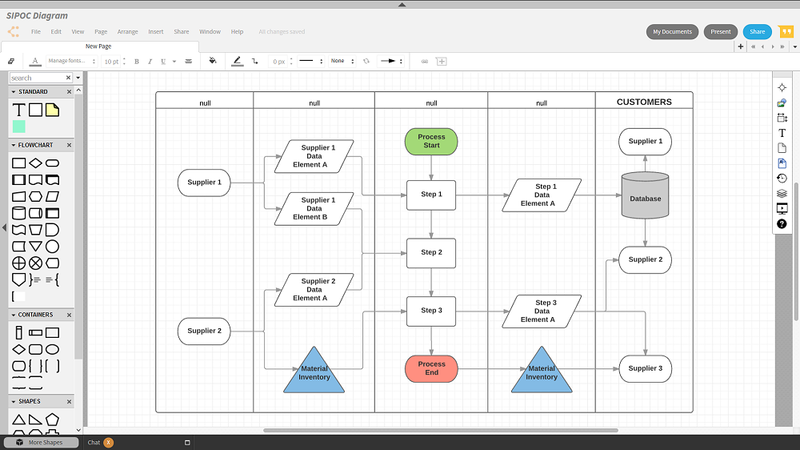 With thousands of shapes and icons, instant organization charts, and bulk Visio imports and exports for business use, Lucidchart helps build business diagrams and improve productivity, build project maps, improve sales processes and customer service flows. Plus, its drag-and-drop editor gets the work done in almost half the time. Compatible with different operating systems (Mac, Windows and Linux), all you need to start using Lucidchart is a web browser. 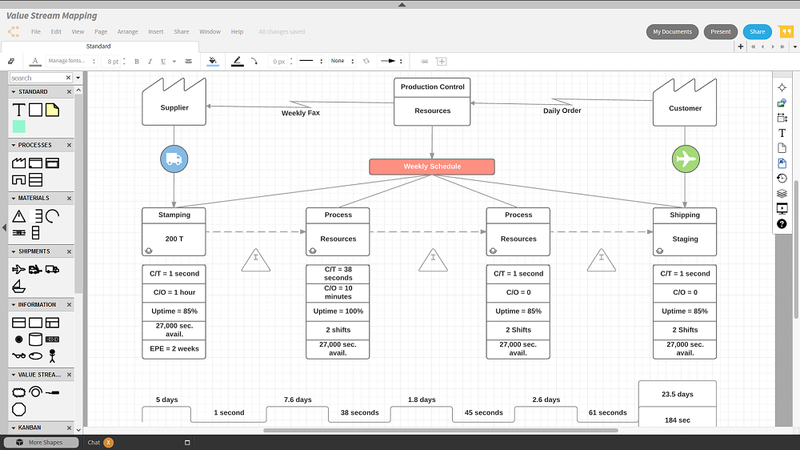 A sophisticated graphics palette, fully customizable editor, keyboard shortcuts and master pages helps put neat product management diagrams in place. With the ability to modify grid settings, hex codes, page layout/size, fonts and even the angles of lines, Lucidchart is probably the most flexible online flowchart maker. 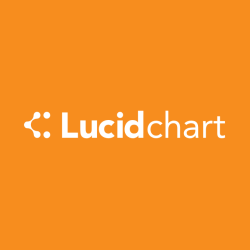 To experience Lucidchart, try the demos available on the portal. You can try out engineering, business or product management flowcharts through their dedicated demos. Navigate to any of these pages by clicking on the direct links to them on the homepage. Thereafter, scroll down and click on “Try the demo” button. In the Engineering & Business demos, at first you’ll see a sample ERD on the canvas with a single entity (user_account) and various attributes. You can play around with attributes adding more or removing some by single-clicking the anywhere on the diagram to open a ‘Settings’ box. This box can also be opened through a ‘Settings’ icon on the upper-right corner of the entity box. On clicking on ‘Manage Fields’ within this box you’ll see a pop-up displaying all field names, their data-types and their Primary Key – Foreign Key status. Add or remove fields as per requirement and click ‘OK’. The attributes can also be modified by double-clicking on them directly and typing, but we suggest the pop-up method to avoid typos. To add more entities to the diagram, click on any of the connecting points on the edge of one entity and drag it away. Release the mouse pointer at a random point on the canvas; you’ll see a prompt asking which shape you wish to add. Select the desired shape and it will appear there. At any point, you can visit customization options and tutorials from a panel on the right corner of the canvas. You can change the diagram from an ERD to UML or Org chart or more by clicking on a ‘More Shapes’ button on the bottom-left corner of the screen. The pop-up window that opens on clicking this button also provides you the option to import Visio Stencil or Custom Shapes into the diagram. To collaborate directly through Hangouts, a convenient chat window is provided next to the ‘More Shapes’ button at the bottom and a Comment box on the upper-right corner. In the product management demo, your drawing canvas will have a Smartphone template drawn over it with several customizable fields. Editing options, chat window and comments section are placed at the same spots with options differing for each type of diagram. If you wish to save your diagram, you’ll need to create an account with Lucidchart first. The signup is free and quick and the tool automatically shows a reminder to do so when you haven’t saved your work after every couple of seconds. The pros of the tool can be easily identified through its features’ description. Add to that the ability to present your diagrams through online presentations and sharing options to boost collaboration. Dragging and dropping stuff to add it to the diagram depends on the speed of the Internet connection. It can be slow to the point of not working at all. Finding things is a bit difficult; nothing is right in front of you. To achieve mastery over the tool you need a lot of hit and trials. The tool though affordable for a basic plan, requires a hefty investment for professional, team and enterprise plans. All-in-all, the concept behind the tool is great but in practice it needs a lot of improvement. It’s not perfect, but then, it’s not pathetic either. Posted February 3rd, 2016 in Content. 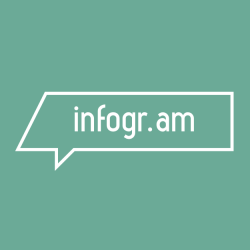 Tagged: business, charts, engineering, flowcharts, product management, sketch.